Welcome to the first post in a series of interviews with the top Twitter-based healthcare content curators. 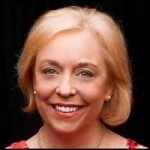 For years, Marie Ennis-O’Connor (@JBBC) has been one of my must-go-to curators in the domain of health and healthcare. Back in September, not only did I get to meet her ITF (in the flesh) during the Stanford Medicine X conference but also enjoyed quality time with her, chatting about a range of topics. Keep reading for what she says about the art and science of content curation. Meredith Gould: What about content curation most appeals to you? Marie Ennis-O’Connor: It’s been a terrific way for me to provide a steady stream of relevant content for my blog in a timely and efficient way. I’ve also found it increased my reach and credibility. MG: When, how and why the focus on healthcare? ME-O: Healthcare is my passion and there is so much incredible information out there, some of which can get lost in the online noise. I started curating articles of interest as a resource for my own work, then as the content grew, I realized it could be a valuable resource for others too. I now have a repository of information running the gamut of health apps to social media guidelines for healthcare professionals, which I can easily refer to. ME-O: I’ve set up Google Alerts for the healthcare topics of interest to me. I find Google Scholar even more useful to my curation as it indexes most peer-reviewed online journals of Europe and America's largest scholarly publishers. In addition, I use Flipboard and Newsle and subscribe to other health-related curators on Scoop.it, a curation platform. ME-O: I have defined my topics up front, so if it relates to healthcare social media and digital health it's scooped into my curator’s net. Next I scan for quality and determine if the content is of value to me and if others would find it useful too. I also check to see if I can easily summarize the key points. ME-O: I use Buffer and Hootsuite to schedule tweets so that I can reach a global audience. I time my tweets for Asia-Pacific, USA/Canada and Europe. I vary tweets – highlighting a different key fact, statistic or quote in each and I add a relevant hashtag. Scheduling is only a small percentage of my time on Twitter – it complements my activity there, but never replaces it. There is no substitute for genuine engagement in building trust and credibility. Content is King; Curation is Queen.